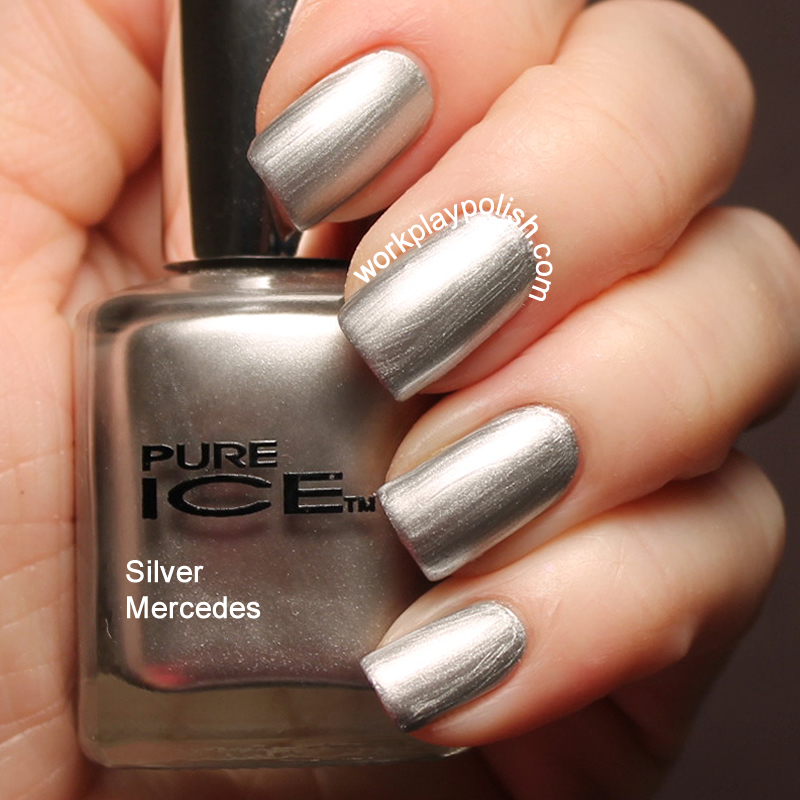 This metallic silver polish has a thick and smooth formula. It reminds me of the China Glaze Magnetix formula (which I love). This one is definitely a one-coater! I bet this would make a great stamping polish. I'll have to put that on my to-do list. 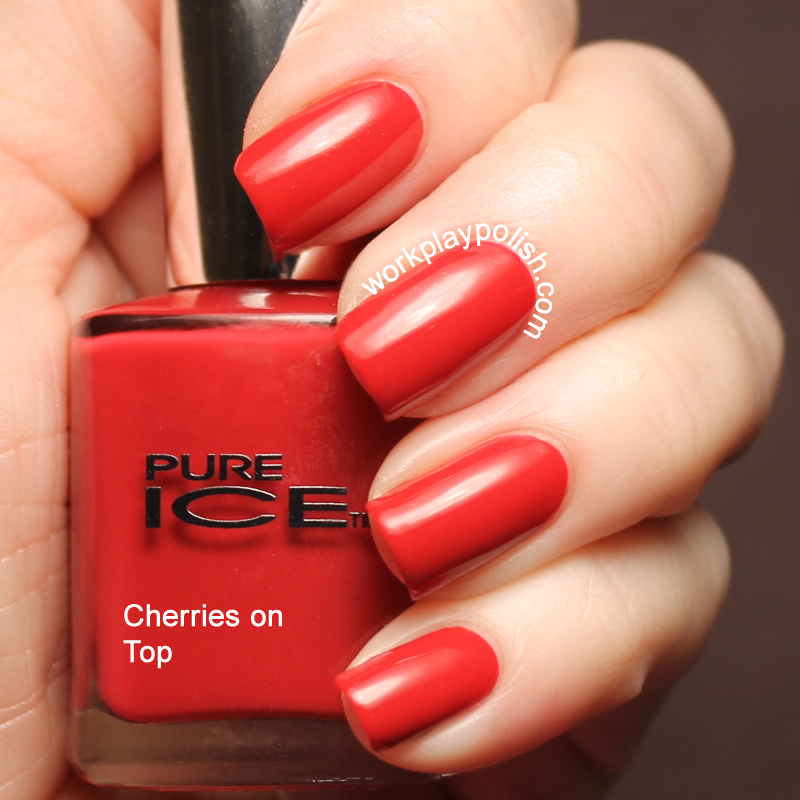 The Pure Ice site calls this one a blue-red crème. It looks like a warm darker-pink to me. I suppose it’s the same thing. A pinky red. Or a reddish pink! The formula was really nice. 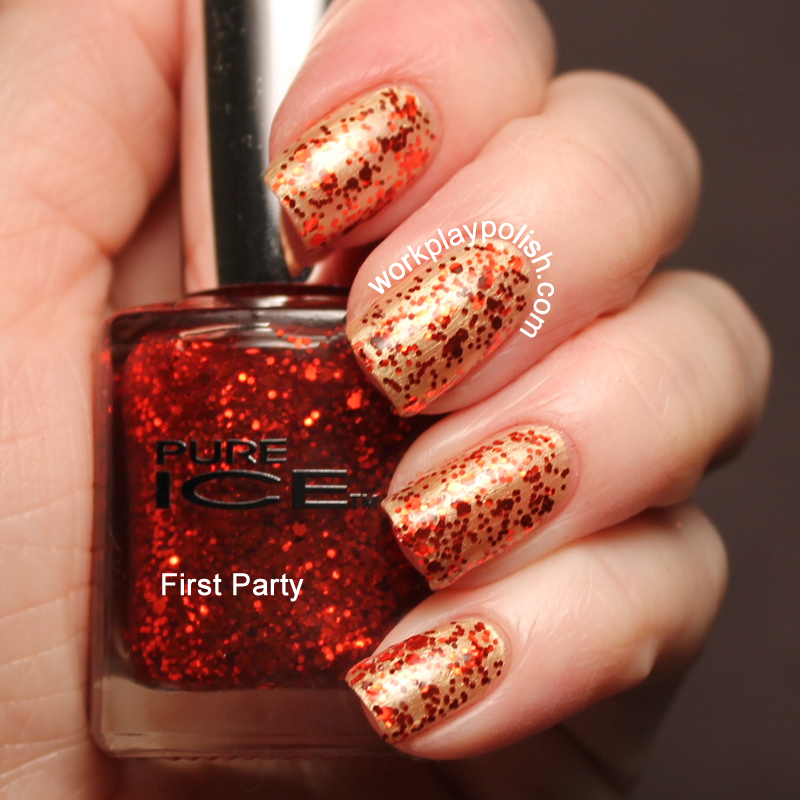 First Party consists of multi-shaped small red glitters in a clear base. I don't think you could get it opaque on its own. Here I've layered it over one coat of Gift of Gold. I'm not crazy for this combination, but it does show you the density of the glitter. *Note: The Pure Ice site calls this one "Frost Party". That makes more sense. Could be typo on the site? or the bottle? 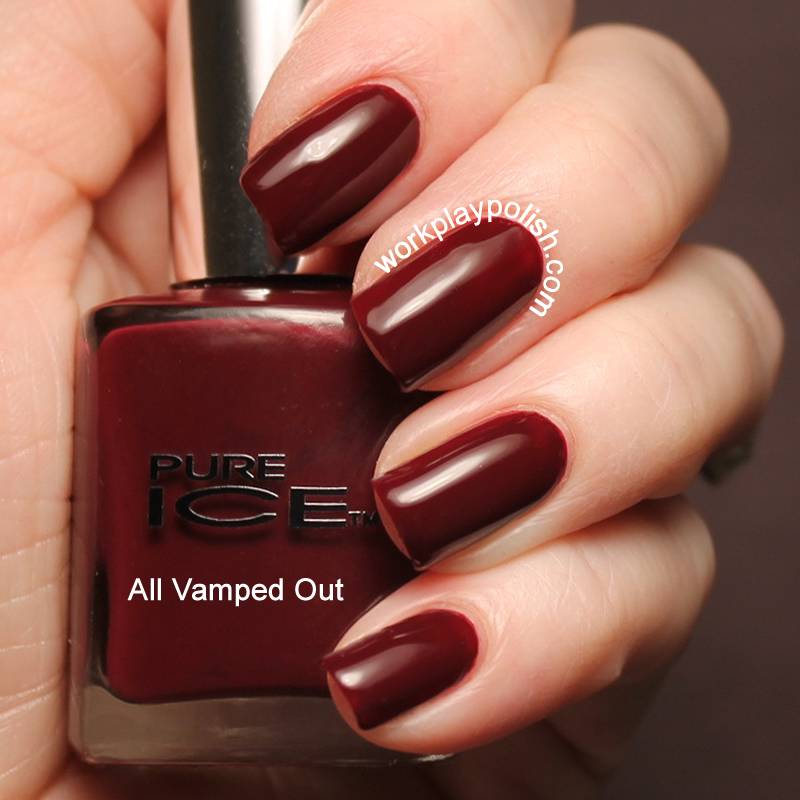 All Vamped Out is a dark burgundy/purple crème...it's much darker on the nail than in the bottle. I wasn’t a big fan of this one. The formula was a little runny…which is maddening with a dark color like this. And I had some cuticle drag even though I waited a bit between coats. I used two coats…but I probably should have done three. I've saved the best for last. I’m in love with Bring on the Joy. It has densely packed deep turquoise glitter in a clear base. It's like the teal version of Beeware and Playtime. I layered this over Celestial just so I wouldn’t have to use a bunch of coats. It’s actually a better match to On His Saddle. But really…it’s so packed with glitter...the underwear color is unimportant. It's a blue sparkle bomb and I love it.